Detachables & Saddlebag Locks & Misc. Proves additional security & peace of mind! 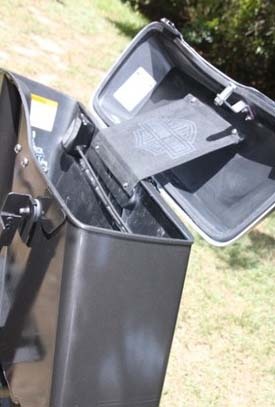 BRU-LK: Convert your Harley Hardbag Lid Latches to open more like the 2014 and Newer Lids! 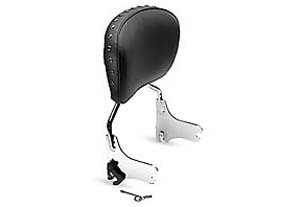 This product is for Harley's with the Hard Saddlebags that are 2013 and older! 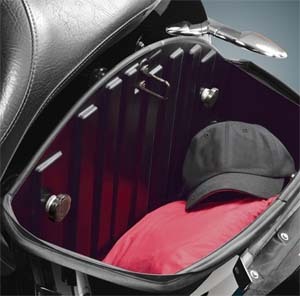 Makes your 2013 and older hard saddlebags more secure! Designed to work with or without Tour Packs on your bike! In 2014, Harley re-designed the hard saddlebags. While this kit cannot replicate the new bags, it can make your current hard saddlebags more secure and easier to open and lock for a fraction of the cost of the new bags and hardware! 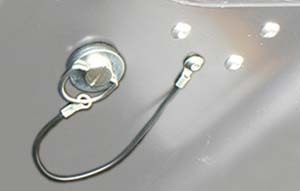 By doing away with the old-style flimsy brackets on your bags, your bags are much more secure when locked. DL-86: Now you can have the convenience of Detachables with the security of barrel locks. 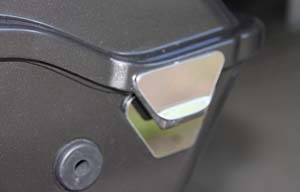 This unique lock replaces the cam-lock on your Harley-Davidson® Detachable accessories, providing additional security and peace-of-mind when parking your vehicle. 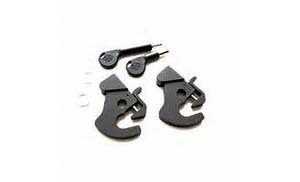 Kit includes two extended-reach barrel-style keys for easy access to the lock. Key registration and replacement service is available. Fits all models equipped with Detachable Sideplates, Racks and Tour-Pak® Luggage Carriers (except '09-later Touring models equipped with Detachable Solo Tour-Pak® Rack). Sold in pairs. Special order item. 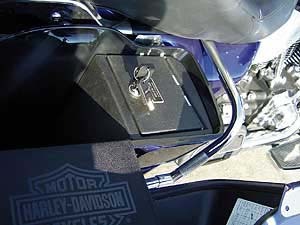 DL-87: This unique lock replaces the cam-lock on your Harley-Davidson® Detachables accessories, providing additional security and peace of mind when parking your vehicle. 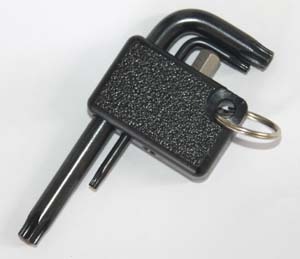 Includes 2 extended-reach barrel-style keys for easy access to the lock. Sold in pairs. Fits all Dyna® (except FLD) and Softail® (except FXS and FLS) equipped with Detachable Sideplates, Racks and One-piece Sissy Bars. Does not fit Detachable Tour-Paks. Special order item. BRU-01: No more concern about your saddlebags being popped off with a screwdriver! 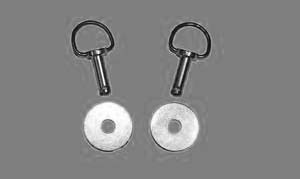 Your bags are secured with stainless steel and spring steel (with automotive black phosphate finish) tamper restistant hardware that installs in minutes. And you have a Security Tool (a standard torx will not work) to quickly and easily remove the bags yourself. 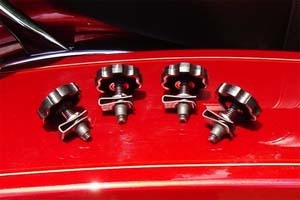 This mounting system replaces the entire Harley-Davidson twist pin system to mount your saddlebags on the touring class of Hogs. SaddlebagSecure™ works on all Harley touring class bikes and both hard and soft saddlebags ( Road Kings, Road King Classics, Ultra Classic Electric Glides, Road Glide Customs. Street Glides and Electric Glide Classics and Electric Glide Ultra Limiteds!) 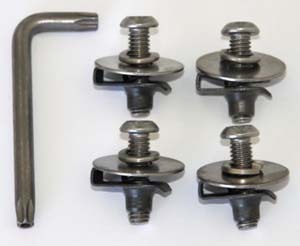 Included is a set of 4 (2 for each side) tamper-resistant mounting hardware (which replaces the 4 Harley twist pins and attachments), 1 Security Tool, and simple installation instructions. BRU-A Accessores: Includes an additional security tools, a security bit to hex drive and a tool keeper key chain. 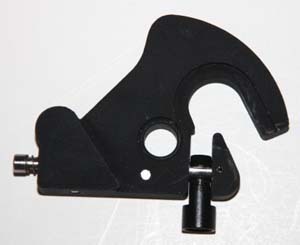 RELK-1: Saddlebag Lock kit. 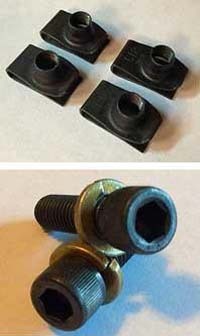 No unscrewing or snapping these fasteners off. 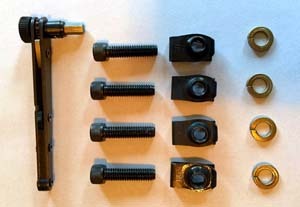 Your bags are "Bolted" onto your bike like they should be with (2) 5/16 machine threaded bolts. 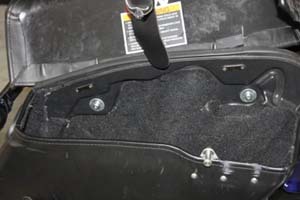 With the OEM fasteners, theives can snap your bags off with 2 long handle screwdrivers. The RELK-1 remedies this. Installs in less than 5 minutes. 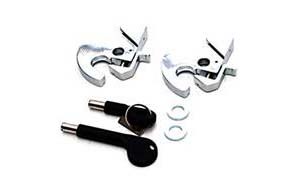 Designed not to fail, they are a great anti- theft and quick release for 1995 and newer Harley FLH & FLT and Victory saddlebags. 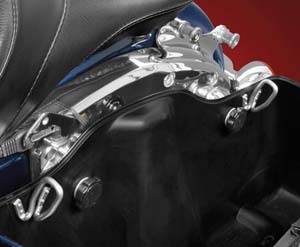 The U-Clip Nut prevents using awrench or pliers to remove the fastener from outside the saddlebag. 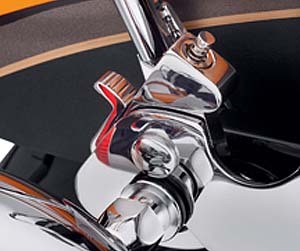 The comfortable 1 ½” black rosette knob makes attachment easy and insures your installed saddlebags stay in place to avoid unwanted loss, yet quick enough to remove when notdesired. Comes as a set of 4, perfect for a pair of saddlebags. 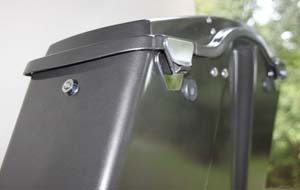 BRU-04: NOW with Tour-pak Bullet Secure, you can secure your Harley-Davidson Tourpak, Pillion Seat Back and Luggage rack! Works on ALL attach with the 4-point Docking system! This simply designed product fits in that hard to reach place for the inside cams! The design is such that this securing product blends in with the docking system for added security. No more worries about someone walking off with your expensive Tour Pack! This system works on both the outside cam and the inside cam. 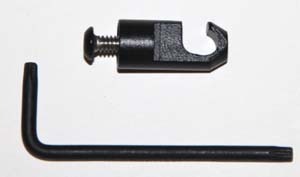 There are only 3 parts to the ingenious design - the "Bullet" made of black powder-coated 302 stainless steel, the stainless steel recessed security screw with a black powder-coated head and the security tool. One TourPack BULLET Secure secures one cam, which secures your accessory. You can also purchase 2 TourPack BULLET Secures to have both cams secured. But only one is necessary. 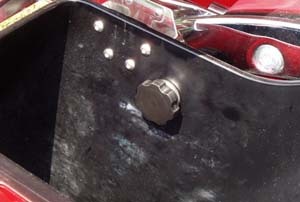 CV-7272: When was the last time you checked the fasteners on your saddlebags? They are the only thing keeping your bags from tumbling down the road! 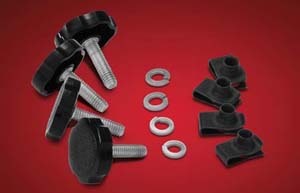 These are the perfect replacement for your tired out stock fasteners. Sold in pairs. 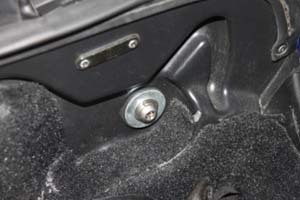 BB-05: Saddlebag Bumper & Pin Retainer Kit. The stick on, protective clear polyurethane bumpers allow you to set the bags on any surface while protecting the paint from damage. 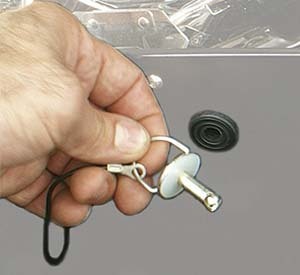 The cable set and retainer washers will keep your saddlebag pins and washers together, close at hand and from falling to the bottom of the bag and being lost. Kit includes parts for two saddlebags. For use with hard and soft saddlebags. 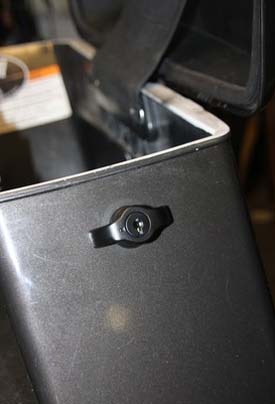 BB-67: Saddlebag Security and Theft System Made in the USA Prevents the bags from falling off due to overloading or weakening of the standard factory spring clips. 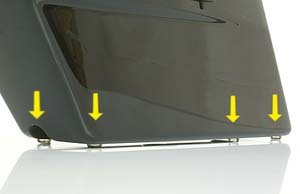 Fits model years 2000 - current hard saddlebags.